"Hero" by Rhonda Byrne | Law of Attraction Plus: The Secret revealed! 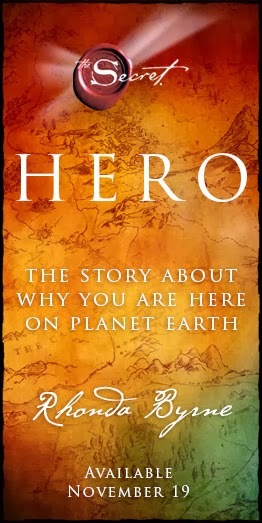 "Hero" is the story about why you are here on planet Earth. There is something special about you. There is something you were born to be or do that not one of the other seven billion of us was. There is a life you are meant to live; there is a journey you are meant to take. This book is about that journey. Twelve of the most successful people living in the world today share their seemingly impossible stories, and reveal that you were born with everything you need to live your greatest dream – and that by doing so you will fulfill your mission and literally change the world.